Happy hump day everyone! 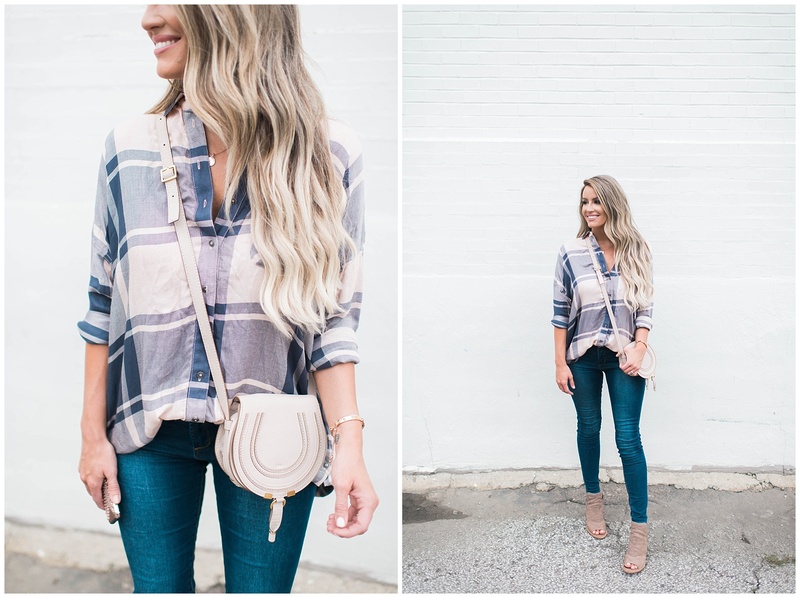 This plaid top was one of my FAVORITE purchases I snagged at the big NSale last week. I could not BELIEVE how quickly it sold out! 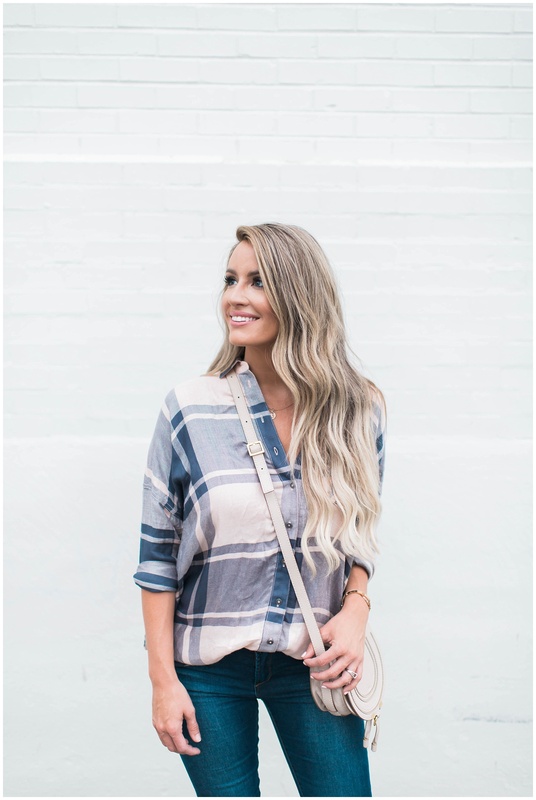 They just restocked it in this peach and navy combo and a black and white version as well. FYI: It has a very oversized fit (I’m wearing an Extra Small). 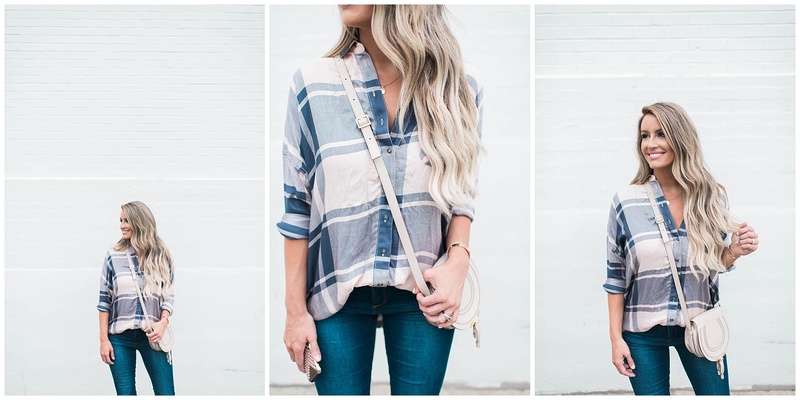 I love items like this that you can wear all year long. 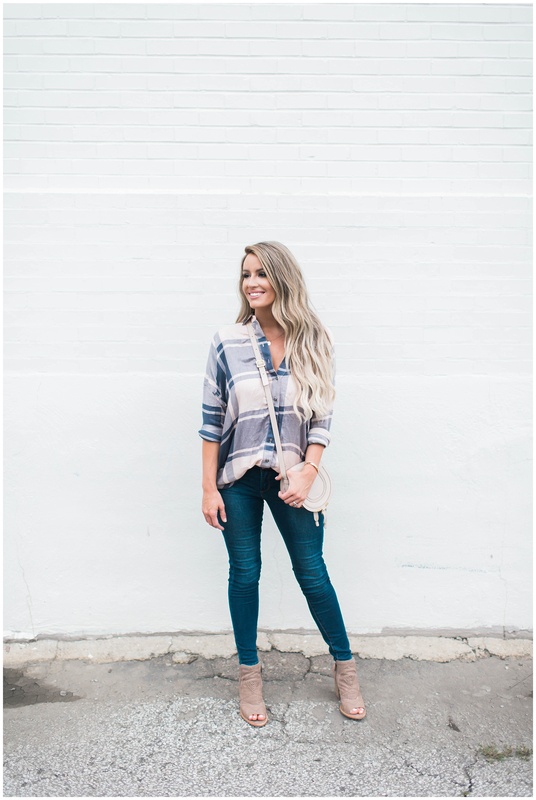 I wore this shirt tucked into denim shorts at a shoot earlier this week and I can’t wait to wear it with leggings, scarves and vests this Fall! It’s definitely the perfect transition piece. Snag one while you can!